We are totally loving the stiletto boot trend and we know you're going to love these! 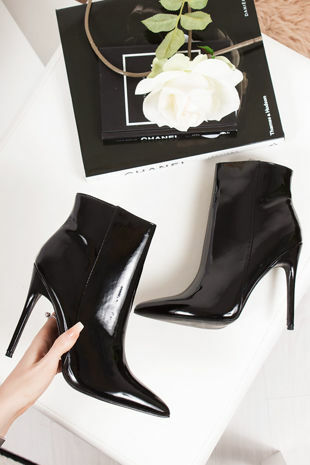 Our pointed toe heeled boots are a must for this season, style with leather pants and tee for some cool girl vibes, featuring an inside zip and faux leather finish, these are perfect for a go to glam look. Featuring a mirrored stiletto heel these heeled boots are a must!